The two latest episodes of Sailor Moon SuperS are now available on Hulu and Neon Alley. 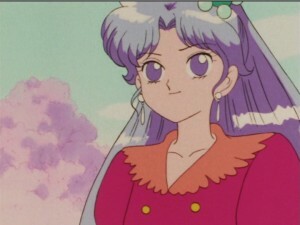 This week we get episodes 130 and 131 and everyone in Usagi’s entourage are targeted by the PUAs that are the Amazon Trio. First it’s her mother and then it’s her best friend, but will either stray from their committed relationships? Once you’ve watched these episodes you’ll want to watch the Sailor Moon SuperS Special as well. You can read more about that later in this post. Episode 130, Protect Mom’s Dream: Double Moon’s New Attack, is all about Usagi’s mother Ikuko Tsukino who is generally referred to as Ikuko Mama. In over three seasons we’ve somehow never had an episode focus on either of the Tsukino parents, so this one is a nice change. Usagi gets really mad that she didn’t get to eat a piece of her mother’s pie, which is a classic Usagi reason to get upset, and she storms off. 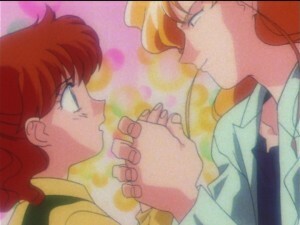 This leads to a nice moment between Ikuko Mama and Chibiusa. What a lovely yet tragic relationship these two share. 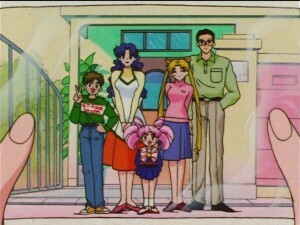 Chibiusa is stranded in the past and while Usagi does offer some sort of a parental figure to her, what with her being her actual mother, their relationship is much closer to that of sisters. 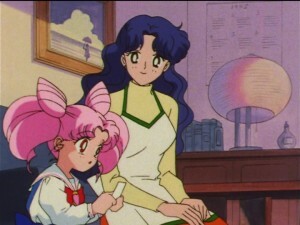 Ikuko Mama believes herself to be Chibiusa’s aunt though as she lives with the Tsukinos she is more of a parent to her. 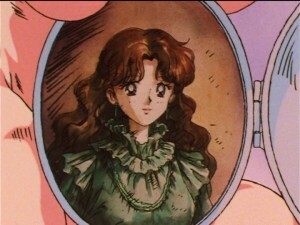 Too bad all of her memories of Chibiusa are destined to disappear whenever she returns to the future. Will she still be alive when Usagi ascends to be Queen of Crystal Tokyo and Chibiusa is born? Will she ever be able to reclaim her lost memories? It’s hard not be a bit sad whenever I see these two interact. 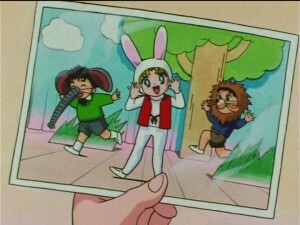 Ikuko Mama shows Chibiusa a series of photos of Usagi when she was growing up. This reminds me of the intro to the Sailor Moon SuperS movie where we see clips of all of the Sailor Guardians growing up. More importantly we see a calendar in the background of this scene which states 1995. The timeline for Sailor Moon makes no sense, as the episodes all seem to take place during the actual seasons and years they aired in over a five year period, though Usagi ages only two years over that time. 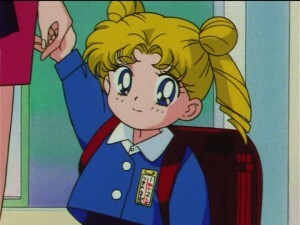 Here Usagi, 14 years old throughout the first season, is 15 years old as determined by her birthday last season and her age being stated in episode 132 which is only two episodes and a short special away. A calendar in the first season showed 1992 while one in this episode shows 1995. Something doesn’t add up! Ikuko Mama is targeted by Hawk’s Eye, because she is older than the teenaged girls Tiger’s Eye goes after. This doesn’t seem to work very well, as she is quite happily married to Kenji Papa! Hawk’s Eye creates an elaborate lie about his own mother who looks just like her making pies. He really lays it on thick! When the fighting ensues Sailor Moon and Chibi Moon and finally powered up permanently to Super Sailor Moon and Super Sailor Chibi Moon with the weapons we’ve sort of already seen a couple of times. Not sure why this needed to be dragged out this much. Episode 131, Catch Pegasus: The Amazon’s Trap, is a great humour filled episode. Last episode Hawk’s Eye tried to seduce a married woman and this week Tiger’s Eye has about as much trouble trying to seduce Naru despite her relationship with Umino. 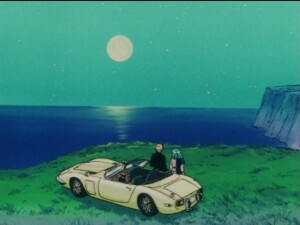 This relationship is rock solid, not likely to be broken up by a slick peacocking PUA or some message from the future as we’ve seen with others in the series. Hawk’s Eye is hilariously shattered at the idea that a young lady could pass on his advances but be interested in such a seemingly low class guy as Umino, but he will not be deterred. He comes up with a great tactic, to fake a terminal illness! It somewhat works, as Naru decides it is the right thing to do to be at his side. 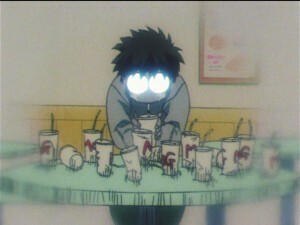 Umino is broken up by this, going into a depression and drinking a ton of McDonald’s milkshakes which are MoG shakes but the similarity is no coincidence. All of this doesn’t work though. Naru’s love for Umino is too strong! They truly are the strongest couple in the series! Next, you should really watch the Sailor Moon SuperS Special which originally aired on April 8th 1995, two weeks after episode 131, which aired March 25th, and a week before episode 132, which aired April 15th. Although this episode aired on TV and fits chronologically within the Sailor Moon SuperS season it has never been released in English to date and is unlikely to appear on Hulu next week. If you look around the Internet you should be able to find a copy of this special. The special is broken into three parts which are each a sort of mini episode. The total length is about that of two episodes, so each episode is somewhat shorter than usual. The first part is a series of flashback clips which is generally uninteresting. The other two parts are much more better. 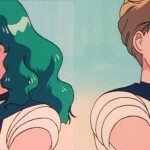 In the second part, The Return of Haruka and Michiru! The Ghostly Puppet Show, We get a look at what Haruka and Michiru are up to this season as they fight an evil ventriloquist’s dummy. The dummy being the evil one. Haruka is sick throughout. 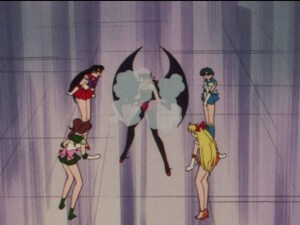 A fight naturally ensues at which point we learn that Michiru would gladly sacrifice many lives just to save Haruka, which is funny but completely contradicting all of Sailor Moon S. As an indicator that we won’t be seeing them later in the season, the two agree that the core group of Sailor Guardians can handle the new threat. 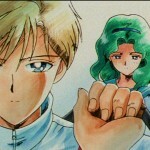 At this point in the manga Sailor Uranus, Neptune, Pluto and Saturn would not have joined the story of the dream arc yet, but in the anime they never do. Next is the third part, Chibiusa’s Adventure! The Dreaded Vampire Castle, which is an adaptation of the first Chibiusa’s picture diary manga side story. 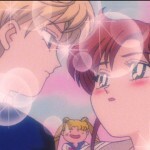 It focuses on a young girl named Lilica who joins Chibiusa’s class. She seems like a nice enough girl until some of the boys in her class start disappearing. It turns out Lilica is actually a vampire, so it’s a good thing the girls had a garlic filled lunch allowing them to use Sailor Special Garlic Attack which is naturally never used in any other episode. Support the site by buying the first two seasons of Sailor Moon on DVD and Blu-Ray using the links below. This entry was posted in Sailor Moon Anime (1992) and tagged Chibiusa, Hawk's Eye, Hulu, Ikuko Tsukino, Lilica Hubert, Naru Osaka, Sailor Moon, Sailor Moon SuperS, Sailor Moon SuperS episode 130 - Protect Mom’s Dream: Double Moon’s New Attack, Sailor Moon SuperS episode 131 - Catch Pegasus: The Amazon’s Trap, Sailor Moon SuperS Special, Sailor Neptune, Sailor Special Garlic Attack, Sailor Uranus, Tiger's Eye, Umino Gurio by Adam. Bookmark the permalink. I’ve read before that in manga continuity, Ikuko most likely was killed during the Stars arc, Ever since reading that and the reason why that’s likely, she’s made me sad. I like to think that’s wrong and she escaped the enemy somehow. Hm. Never heard of this. I’ll have to keep this in mind next time I read Stars. I love the SuperS specials but I was always confused by the vampire episode. How was Lilica able to walk in the sunlight without getting burned any? Is she a distant relative of the Cullens? Since when is eating flowers a sign of vampriism? I’m not a vampire mythology expert so maybe eating flowers is a traditional belief about vampires in Japan or something? But it seems like I’ve never seen this shown anywhere else other than this random Sailor Moon special. 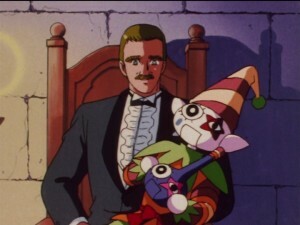 And if Lilica was turned into a vampire by the Dead Moon Circus, where are her parents at? Since when did the Dead Moon Circus get this ability to turn people into monsters and why don’t we see this the rest of the season? With all the people who get turned into monsters against their will in anime, you’d think more people in Sailor Moon would have major psychological trauma from the experience.